Constructed of hand-selected California redwood. Beautiful wood grain texture. Hand-built with expert workmanship. Weather-resistant galvanized hardware. Single-rail design. Pictured in sealed with lights style. Pre-assembled and ready for easy assembly. 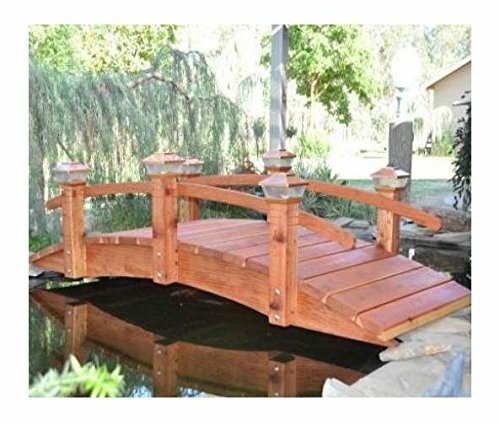 If you have any questions about this product by Redwood Garden Bridges, contact us by completing and submitting the form below. If you are looking for a specif part number, please include it with your message.